Defeat the first boss in Story mode. Defeat the mutated zombie plant in Story mode. Defeat the last boss in Story mode. Obtain the sports car in Story mode. Unlock the mayor's White Limousine in Story mode. Unlock the police squad car in Story mode. Unlock the super car in Story mode. Ensure that the TV van reaches the base with at least 50% of health. Put out the fires in the shopping mall. Kill 20 or more zombies with one shot while driving the tank. 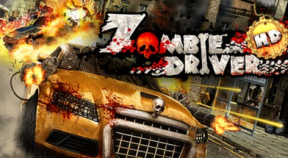 Kill at least 150 zombies in one combo while driving a bulldozer. Fully upgrade one car in Story mode. Move to the harbor base in Story mode. Progress to the train station base in Story mode. Progress to the airport base in Story mode. Look! I know how to drive! Earn your first Blood Race mode medal. I don't want it to end yet! Survive for more than 2:30 in an Endurance event in the Blood Race mode. Unlock the Muscle Car in the Blood Race mode. Kill 100 enemies in the Blood Race mode. Find your own race track! Kill 30 enemies during an Eliminator event in the Blood Race mode. Win all tournaments in the Blood Race mode. Kill 100 zombies in a single game in Slaughter mode. Kill 500 zombies in a single game in Slaughter mode. Destroy 1500 destructibles in Slaughter mode. Get all car upgrades in a single game in Slaughter mode. Earn a gold medal on all original arenas in Slaughter mode. Earn 150 000 points on any arena in Slaughter mode. Make a 10 000 points combo. Kill 30 zombies with a single railgun shot. Finish the Story mode without buying any car upgrades. Fully upgrade all weapons in Story mode. Kill 3000 zombies in a single mission in Story mode. Light 25 zombies on fire at once. Kill 20 zombies with the back of your car in one combo. Detonate 3 exploding zombies with a single rocket shot. Earn your first Slaughter mode medal. Destroy 5000 destructibles in Slaughter mode. Destroy 666 destructibles in Slaughter mode. Kill 2000 zombies in a single game in Slaughter mode. Drive the Taxi, Sports Car, Limousine, Police Car, Ambulance, Bus and the Super Car in Slaughter mode. Kill 10000 zombies in Slaughter mode. Kill 50000 zombies in Slaughter mode. Burn 1000 zombies in Slaughter mode. Get all weapon upgrades in a single game in Slaughter mode. Earn a silver medal on all original arenas in Slaughter mode. Earn a bronze medal on all original arenas in Slaughter mode. Make a barbecue of 100 zombie dogs in a single slaughter mode match. Finish the Beginners' League in the Blood Race mode. Finish the Rookies' League in the Blood Race mode. Finish the Drivers' League in the Blood Race mode. Finish the Pro Racers' League in the Blood Race mode. Finish the Zombie Drivers' League in the Blood Race mode. Wow! It looks like a brand new car! Change the look of your car in Blood Race mode. Unlock all car skins in the Blood Race mode. Don't you ever scratch my paint again! Kill your first enemy in the Blood Race mode. Kill 3 enemies with a single railgun shot in the Blood Race mode. Be the first on the finish line in a Race event in the Blood Race mode. Get gold medals in every event in the Blood Race mode. Unlock all original arenas in Slaughter mode. Destroy your first zombie spawner in Story Mode. Kill 30 zombies by destroying a spawner in Story Mode. Destroy 20 zombie spawners in one mission in Story Mode. Kill 500 zombies with a Military Truck in one mission in Story Mode. Save the mayor and his crew in Story Mode. Spray the area with a special chemical compound for the first time in Story Mode. Destroy 250 destructibles with the bulldozer in one mission in Story Mode. Kill 100 zombies with a watercannon in one mission in Story Mode. Finish the last mission with more than 75% health in Story Mode. Set the tree boss on fire with your flamethrower in Story Mode. Accumulate 3 000 000 dollars in Story Mode. Finish a boss with the flame from your turbo in Story Mode. Save 100 survivors in Story Mode. Destroy 50 spawners in Story Mode. Finish the last mission with less than 10% health in Story Mode. Get at least a bronze medal in every event in the Blood Race mode. Get at least a silver medal in every event in the Blood Race mode. Kill other racers 10 times in a race event in the Blood Race mode. Buy all the original cars in the Blood Race mode. Die 25 times in the Blood Race mode. Kill 25 enemies by ramming them with your car in the Blood Race mode. Finish fourth in any event in the Blood Race mode. Accumulate 500 000 dollars in the Blood Race mode. Gather 30 seconds extra at one time from props and zombies in an Endurance event in the Blood Race Mode. Survive 10 waves in Slaughter mode. Survive 20 waves in Slaughter mode. Survive 30 waves in Slaughter mode. Earn 200 000 points on any arena in Slaughter mode. Earn 250 000 points on any arena in Slaughter mode. Make a 20 000 points combo. Make a 30 000 points combo. Make a 40 000 points combo. Kill 10000 zombies with your car. Kill 10000 zombies with your minigun. Kill 10000 zombies with your flamethrower. Kill 10000 zombies with your railgun. Kill 10000 zombies with your rockets. Kill more than 250 zombies in one combo.